We are one of the leading traders and suppliers of a comprehensive range of Flatbed Cutting Plotters. Our range is procured from trusted vendors and extensively used in different industries. Furthermore, our range is highly appreciated by our clients for minimal maintenance, user-friendly, optimum performance and longer service life. 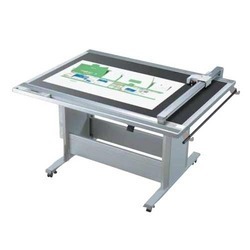 We are offering 4500 Series Flatbed Cutting Plotters to our clients. We are offering 2250 Series Flatbed Cutting Plotters to pour clients.